We were delighted to be part of the European International Schools “Infant Fun Day!” on Saturday. It was lovely to perform our preschool play Round and Round the Garden to parents with their children and babies. This entry was posted in Event, LOOK OUT! News, Photos, Round and Round the Garden. This entry was posted in Fruity Tots, LOOK OUT! News, Passion for Fashion, Photos, Pirates for Tea, Rehearsals, Round and Round the Garden, The Birthday Cake Pizza, The Greedy King and Queen. This entry was posted in Fruity Tots, LOOK OUT! News, Picnic with a Caterpillar, Pirates for Tea, Round and Round the Garden. We have had a great start to our school year and already visited lots of school across Catalunya. We have been to Sant Sadurni d’Anoia, Sabadell, Hospitalet de Llobregat, Les Presses, Sant Cugat, Santa Coloma de Gramenet, Vic, Mataró, Palau-solità i Plegamans, Tordera, Badalona, Cornellà de Llobregat and Barcelona. See below for some great feedback and our photos. 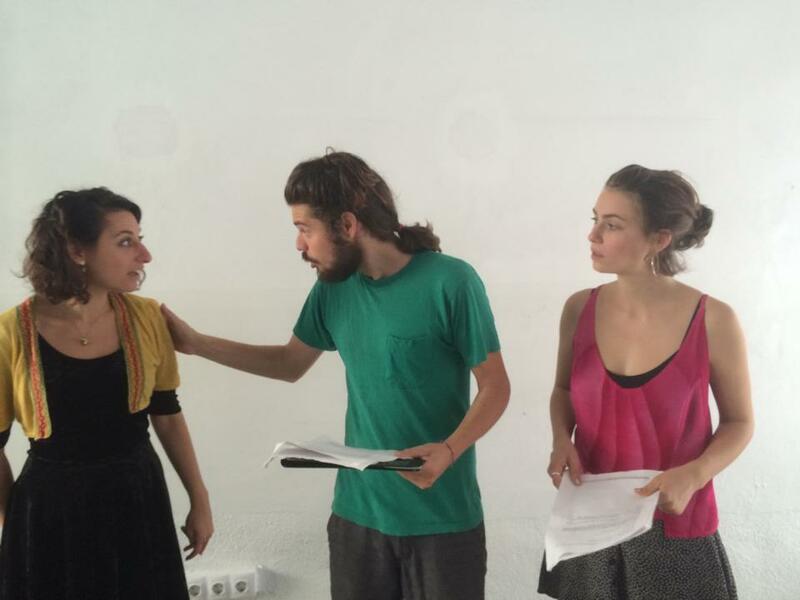 “We especially liked the vocabulary content and the audience participation during the play.”Susanna Mulet. “Fabulous – the children returned to the classroom singing the the songs! We loved it!” Ruth Sale. This entry was posted in A Monkey's Tale, Fruity Tots, LOOK OUT! News, Our blog, Photos, Pirates for Tea, Round and Round the Garden, Stone Soup, The Lemon Thieves. LOOK OUT! 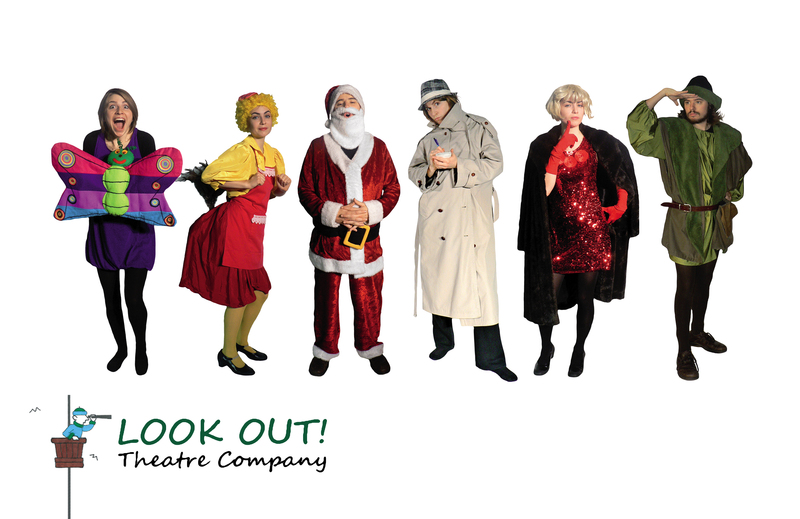 Theatre Company is celebrating 15 years! LOOK OUT! Theatre Company is celebrating it’s 15th anniversary! We would love to come and celebrate at your school with your students. For young learners we have three plays – one for each year of pre-school – Round and Round the Garden, Fruity Tots and Pirates for Tea. For primary school learners we have four plays – including our Christmas play, Santa’s Pants for six to eight year olds. Stone Soup is ideal for 1st and 2nd; A Monkey’s Tale is recommended for 3rd and 4th; and The Lemon Thieves is a great show for 5th and 6th. For older learners we have two plays. For 1st and 2nd we have Murder at Manor House which is one of our most recent plays, premiered in 2014. For 3rd and 4th we are bringing back everyone’s favourite: My Lucky Compass which was first performed on Thursday 14th September, 2000. We work hard to always bring you shows which are fresh, entertaining and include the best of everything: from memorable characters; professional actors; music; staging, dance and audience participation; to engaging teacher and student resources . To book a show for the year 2015-2016 or talk to us about any of our shows, call us on 615 670 877 or contact us through our website. This entry was posted in A Monkey's Tale, Event, Fruity Tots, LOOK OUT! News, My Lucky Compass, Pirates for Tea, Round and Round the Garden, Santa's Pants, Stone Soup, The Lemon Thieves. 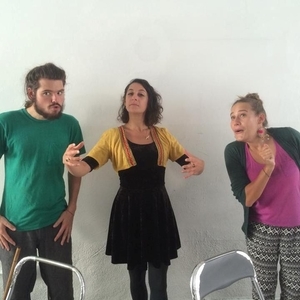 Meet our actors Martha, Rob, Flo and Anna in this new fun video. They will soon be at your school performing our shows for 2014/2015! This entry was posted in LOOK OUT! News, Passion for Fashion, Rehearsals, Round and Round the Garden, The Birthday Cake Pizza, The Greedy King and Queen, Video. We’re now taking bookings for 2014-2015. LOOK OUT! Theatre Company has had a great year and we’re pleased to say that the feedback from teachers confirms that we’re doing a first-rate job of helping teachers to motivate their pupils and to have fun while learning English. For primary school learners we have four plays – including our Christmas play, Santa’s Pants for six to eight year olds. The Birthday Pizza is ideal for 1st and 2nd; The Greedy King and Queen is recommended for 3rd and 4th; and Passion for Fashion is a great show for 5th and 6th. For secondary we have two plays. For 1st and 2nd we’re bring back everyone’s favourite: Bingo Royale. We’re also excited about our brand new play, Knowing Shakespeare which is premiering in the New Year to celebrate 450 years of Shakespeare. This play is for 3rd and 4th. To book a show for the year 2014-2015 or talk to us about any of our shows, call us on 615 670 877 or contact us through our website. Our website is in English, Spanish and Catalan and has details and photos of all our shows and includes feedback from teachers. This entry was posted in Bingo Royale, Fruity Tots, LOOK OUT! News, Passion for Fashion, Pirates for Tea, Round and Round the Garden, Santa's Pants, The Birthday Cake Pizza, The Greedy King and Queen.